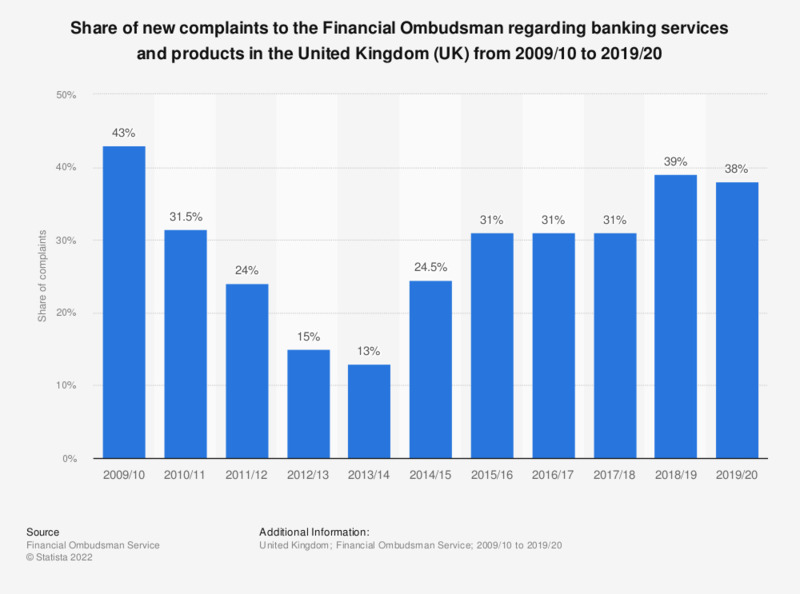 This statistic illustrates the share of complaints to the Financial Ombudsman regarding specifically banking products and services offered by financial businesses in the United Kingdom (UK) from 2009/2010 to 2017/2018. It can be seen that the share of complaints regarding banking services and products fluctuated during the period under observation, reaching a share of 31 percent as of 2017/2018. The largest share of complaints regarding banking services was found in 2009/2010, when a share of 43 percent of banking products and services complaints was recorded. Data prior to 2012 is from earlier reports.